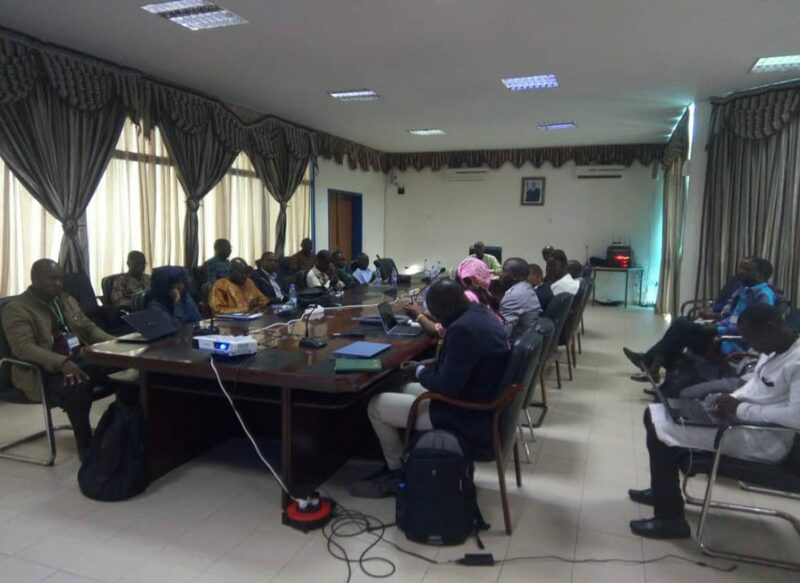 On January 30-31, the GGGI Senegal Country Office, in partnership with the International Labor Office (ILO) organized a workshop on the statistical estimation of green jobs and the assessment of green skills gaps in the Conference Room of the Ministry of Environment and Sustainable Development. Around 25 representatives from High Council for Social Dialogue (HCDS), National Agency for Statistics and Demography (ANSD), Directorate of Analysis, Prevention and Agricultural Statistics (DAPSA), Directorate General of Planning and Economic Policies (DGPPE) of the Ministry in charge of Economy, Directorate of Planning of the Ministry in charge of Economy, International Labor Office (ILO), Coordination Unit for Solid Waste Management (UCG) of the Ministry in charge of Territorial Governance, Directorate of Planning and Environmental Monitoring (DPVE) of the Ministry in charge on Environment, Directorate of Horticulture of the Ministry in charge of Agriculture, Economic Policy Coordination and Monitoring Unit of the Ministry of Finance, National Youth Council of Senegal and Study and Planning Unit of the Ministry in charge of Water management. Several key sectors of the national economy have been targeted, including: agriculture; fishing and aquaculture; breeding; waste management; water resources management; tourism; energy; industry; the construction and public works sectors. GGGI’s Thought Leadership teams have contributed to the methodological framework and provided support and guidance in fostering GGGI-ILO collaboration on this joint initiative. Focus groups were formed to identify which activities (specific and mixed) and ecological processes in the environmental sector that should be considered in the sector analysis. For the mixed sectors, the ratio between the ecological subsector and the conventional sub-sector, as well as the criteria to be used for the characterization of decent jobs were discussed. Almost 18 Indicators were considered to characterize decent work. The participants feedback was very encouraging – indicating a lot of interest on this topic. exchanges on this work will be continued later and summary report of these activities will be shared.